Francis Castellino, Kleiderer-Pezold Professor of Biochemistry, has been selected to receive the University of Iowa Carver College of Medicine Distinguished Alumnus Award for Achievement. He was selected for his career of service leadership and contributions to medicine and will be formally recognized by the university in June 2014. After earning a Master of Science in 1966 and a Ph.D. in 1968 from the University of Iowa, Castellino completed a National Institutes of Health Postdoctoral Fellowship at Duke University. He joined the Notre Dame faculty in 1970 and served as dean of the College of Science from 1979-2002. Currently, Castellino is the director for the W.M. 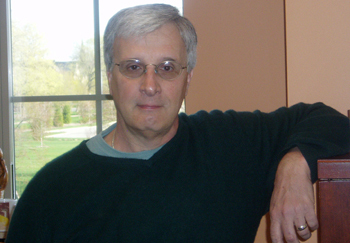 Keck Center for Transgene Research and an adjunct professor of biochemistry and molecular biology at Indiana University School of Medicine – South Bend. Castellino’s research interests include the structure, function, and activation of proteins that participate in blood coagulation, blood clot dissolution, inflammation, and infection. By studying the biological functions of coagulation and clot-dissolving genes and proteins in conditions such as cancer, sepsis, wound healing, atherosclerosis, bacterial infections, and head trauma, his research group has produced important information regarding the development and progression of these disease states. A highly accomplished researcher and teacher, Castellino has earned several prestigious recognitions throughout his career. In 2008, he earned a Wyeth-ISPF Research Prize. He is a Fellow in several prestigious organizations, which include the American Heart Association and the Council on Arteriosclerosis, Thrombosis, and Vascular Biology; the American Association for the Advancement of Science (AAAS); and Sigma Xi. He earned the University of Notre Dame Annual Faculty Award in 2003 and was named a Fellow of the Reilly Center for Science, Technology, and Values in 2006. Castellino also holds honorary degrees from the University of Scranton, his undergraduate alma mater, and Waterloo University in Canada, where he presented the commencement address in 1993. Originally published by Stephanie Healey at science.nd.edu on January 16, 2014.